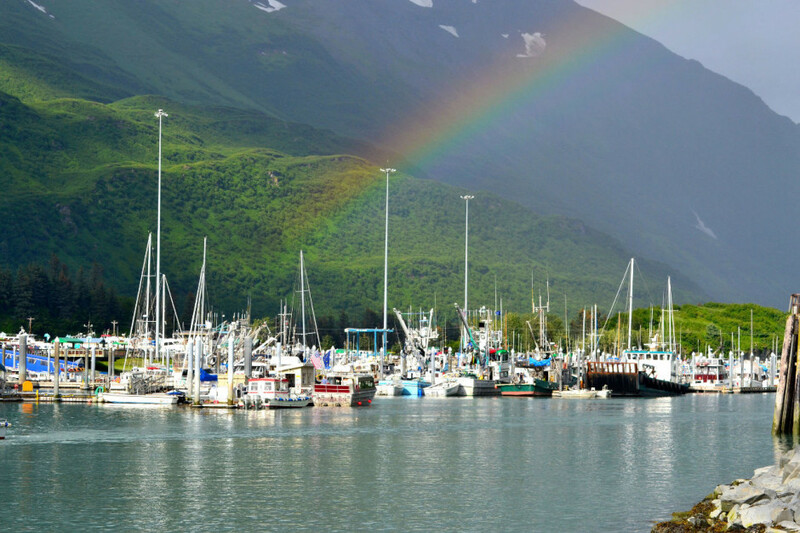 THE TINY, 4,000-PERSON port town of Valdez on Alaska’s south coast is your base camp for adventure in both the wild, protected waters of Prince William Sound and the peaks of the Chugach Mountains that dominate the surrounding landscape. Here are 13 reasons why it might just be one of the greatest (little) places on Earth. 1. It’s a land of waterfalls. Valdez gets epic levels of snow in the winter — we’re talking “snowiest place in the United States” epic. When all that snow melts, it makes its escape by pouring down the mountainsides in some of the world’s most beautiful waterfalls. They’re just about everywhere, but you’ll get the best views by parking at one of the many pullouts along Keystone Canyon — miles 14 through 17 of the Richardson Highway (Valdez is “mile 0”) — or taking a sightseeing cruise along the coast. 2. You can drive pretty much right up to a glacier. Once you’ve checked out Keystone Canyon’s waterfalls, head a few miles north to the Worthington Glacier State Recreation Site at mile 29 of the Richardson Highway. If you’re willing to put in a short walk on rocky ground, you can get right up to the glacier’s face and take a close look at all the natural debris frozen into the ice. If they had to put one picture in the dictionary under “tiderwater glacier,” it’d be this one — the Columbia Glacier, which dumps a staggering 13 tons of ice into the ocean every day. And it’s just a short day cruise away from Valdez. 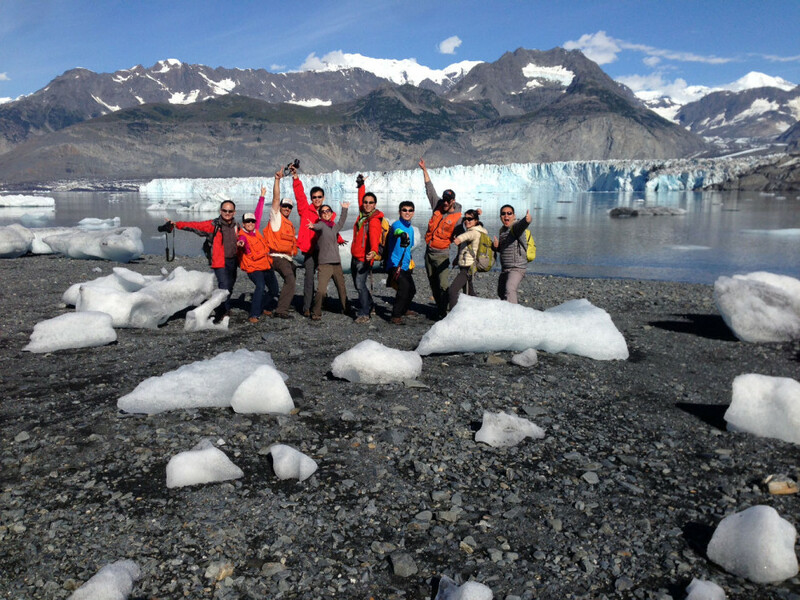 Your boat won’t get right up to the glacier’s face (for obvious reasons), but it’s still a spectacular sight. 4. In Valdez, they use helicopters as tour buses. 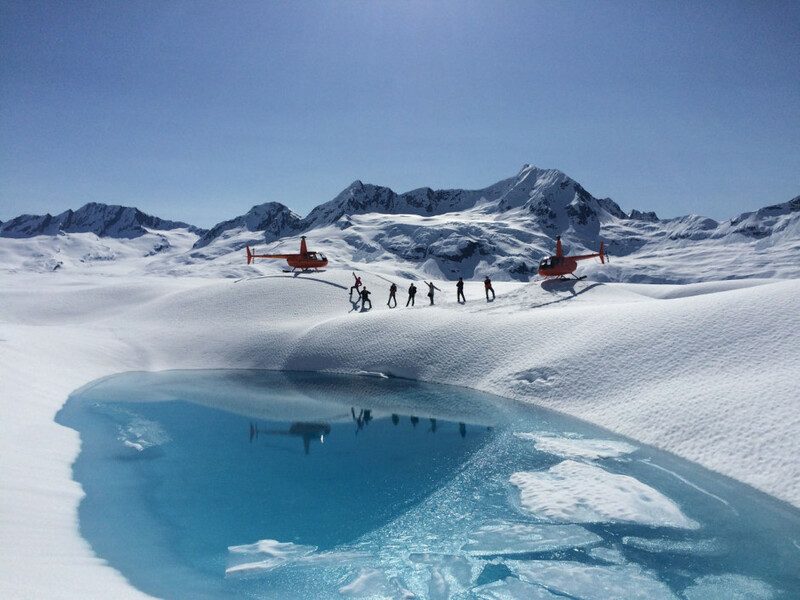 By winter, Valdez is a premier heli-skiing destination. During the summer, those same helicopters serve as tour buses, taking you aloft for sightseeing over the Chugach Mountains as they shoot straight up out of the sea, launching you into the mountains for a backcountry backpacking trip, or landing you by crystalline blue pools in the middle of a glacier. You can also try your hand at ice climbing on the glaciers during the summer. 5. There are fish here — lots of fish. 6. They’ll even pay you to fish. 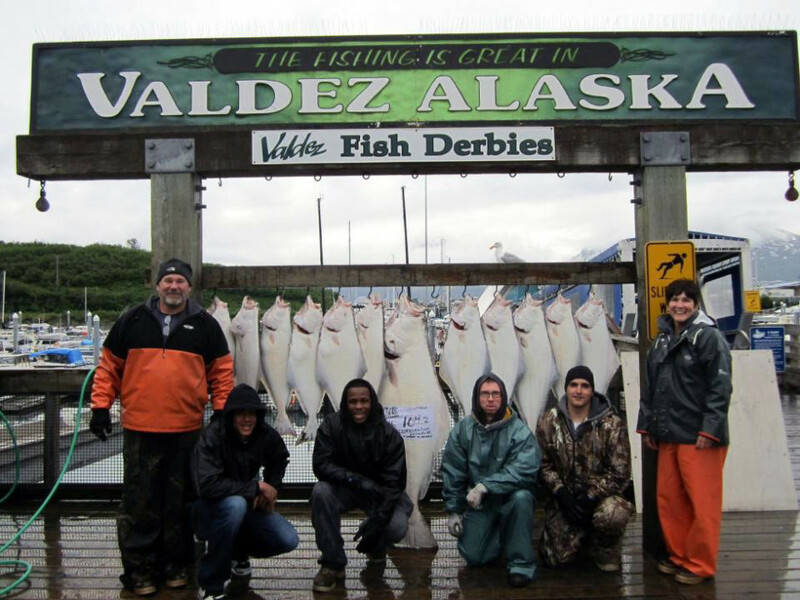 Valdez is home to some of the state’s oldest fishing derbies, with cash payouts as big as $15,000 for the largest halibut and silver salmon, plus kids’ and women’s divisions. You have to buy a derby ticket for your catch to count but, even if you don’t get a winning fish, your ticket gives you a chance at a $10,000 cash drawing. That’s a pretty good consolation prize. 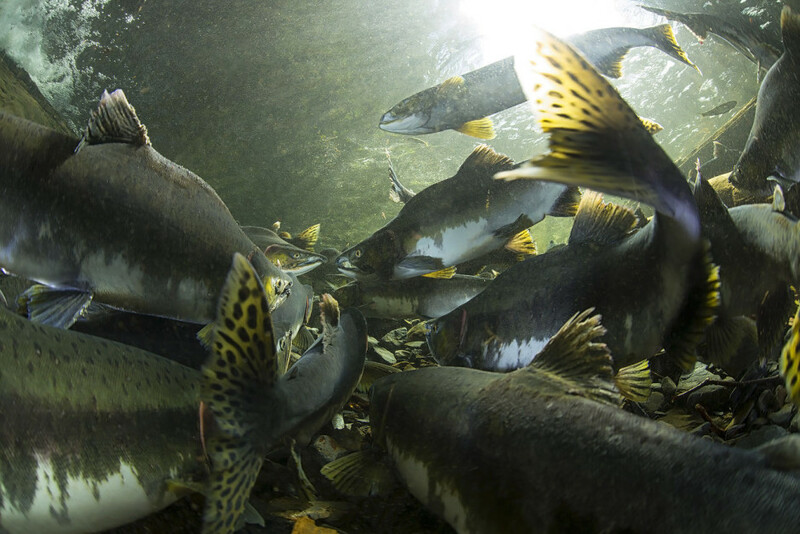 You don’t have to fish for salmon to watch them streaming home to the Solomon Gulch Hatchery in late summer, where as many as 160,000 silver salmon and 13 million pink salmon can return to spawn every year. 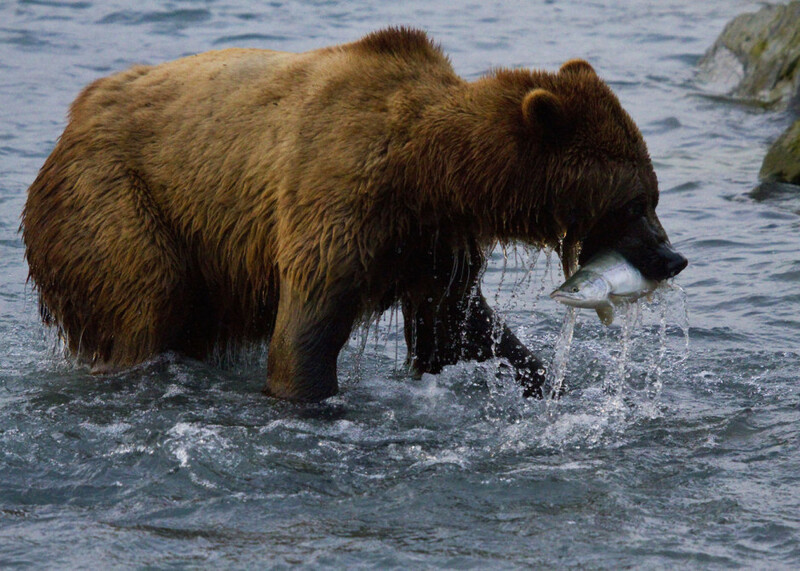 This bounty of fish sometimes attracts other wildlife, too, so you might see brown bears creeping out of the forest to feed, or sea lions feasting on mobile fish munchies along the coast. 8. The waterscape is as dramatic as the landscape. Valdez is pretty much the best place ever to explore all things aquatic. 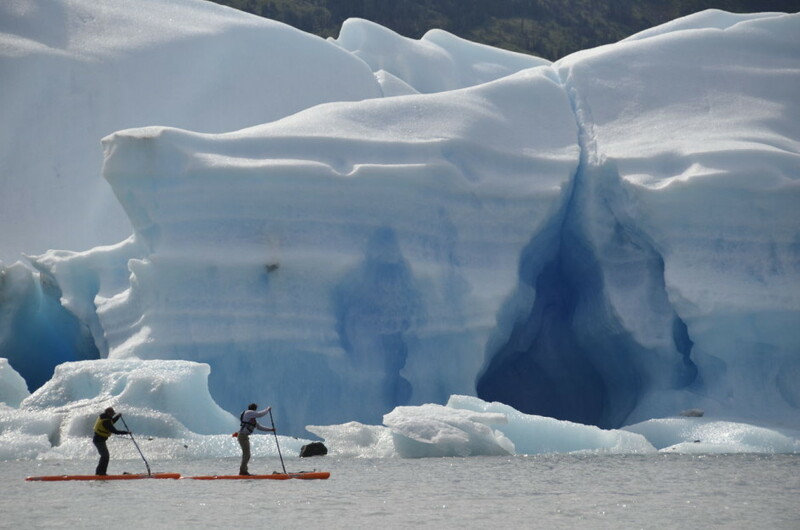 Paddle a sea kayak straight through a coastal glacier’s ice caves. Whitewater raft down the Class I-III Lowe River in Keystone Canyon and get a closeup look at all those gorgeous waterfalls. 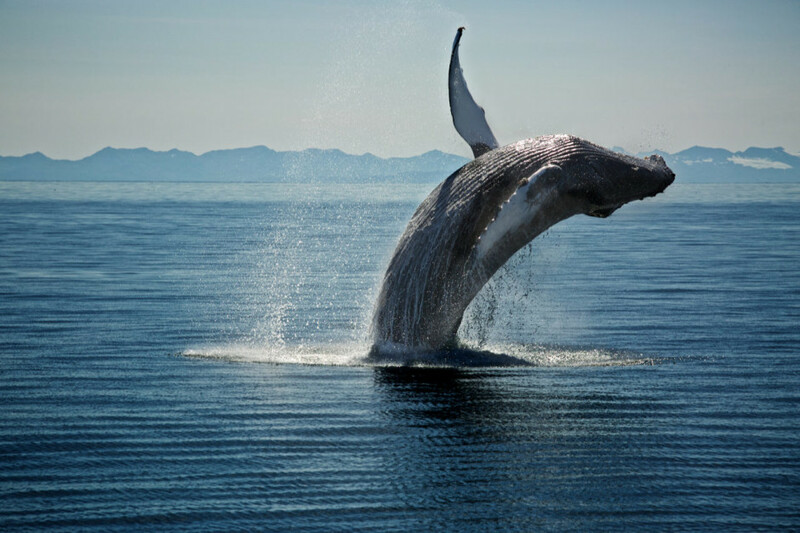 Go for a sail or a wildlife-and-glacier-viewing cruise on Prince William Sound. All that, plus fast ferry access to Cordova, a cool little coastal town that’s only reachable by air or water. 9. It survived the second-largest earthquake in the world…sort of. When the magnitude 9.2 Good Friday Earthquake struck just 56 miles west of Valdez in 1964, it spawned a massive underwater landslide that collapsed the town’s docks and caused some $15 million dollars in damage. 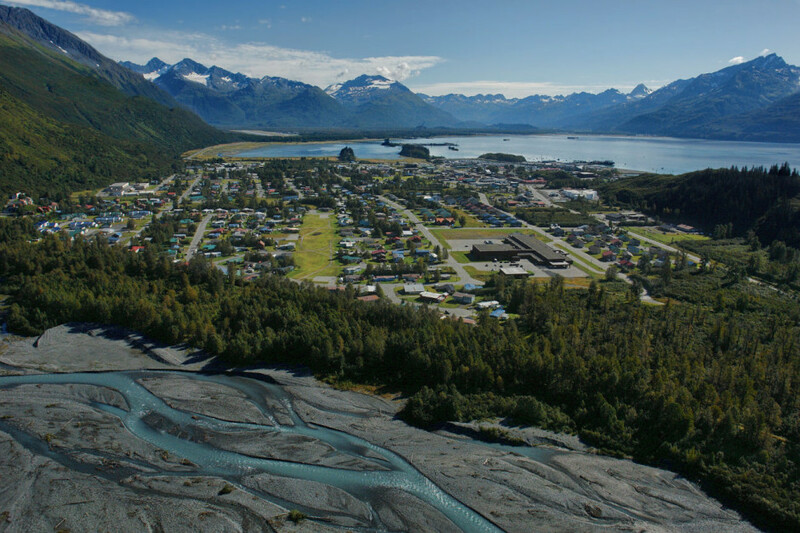 Over the next few years, the Army Corps of Engineers gradually relocated 62 of the surviving buildings to the new, more stable townsite where Valdez sits now. That’s some serious resilience. 10. Valdez might have its own meteor. In early 1927, a man living about 11 miles out of Valdez said he heard and felt a meteor strike a nearby mountain. While nobody has turned up any bona fide meteor bits — yet — a professional photographer visited the site and took photos of the shattered peak of what locals now call Meteorite Mountain. The strike created a new lake that some people believe might still hide a piece of the meteor. 11. You could find some gold. Copper and gold mining were big business here in the early 1900s, and you can still visit the stamp mill that turned out 120 tons of gold ore in its first year of operation. You won’t find a ton of “panning for gold” tourist traps here, but keep your eyes peeled for promising glitters — finders keepers! 12. Wild animals like Valdez, too. 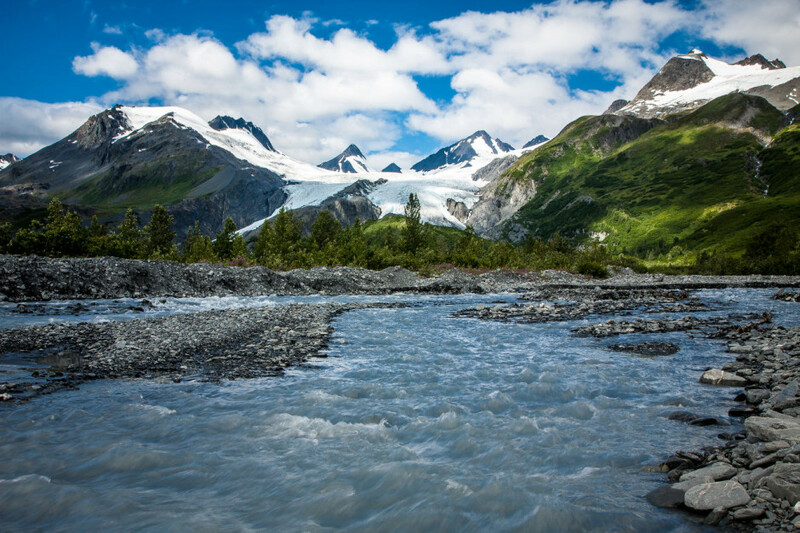 The waters and land around Valdez are teeming with life. Keep your eye out for Steller sea lions, orcas, seals, humpback whales, Dall’s porpoises, puffins, and sea otters on the water. On land, be on the lookout for brown and black bears, bald eagles, ptarmigans, terns, and mountain goats lounging on the coastal cliffs. Some of these creatures are more likely than others to eat you, so make sure you give them plenty of space. 13. The town is super easy to get to. 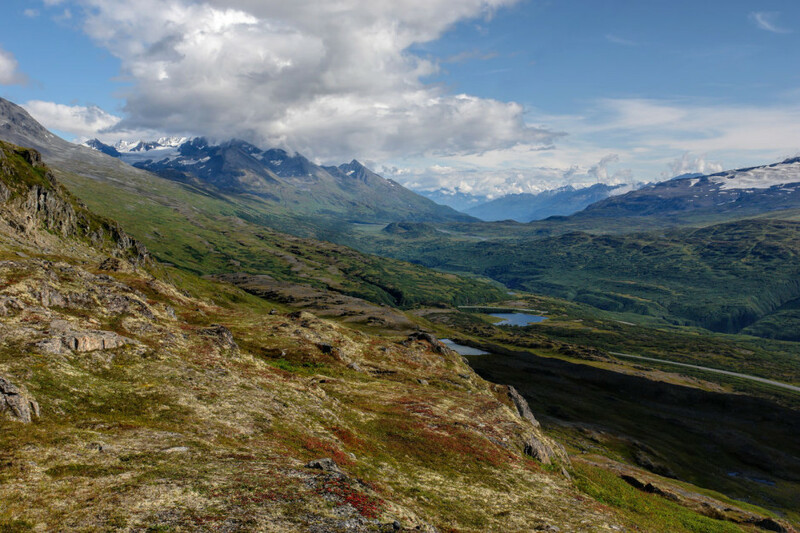 For all its wild remoteness, Valdez is actually really easy to get to. You can hop a Ravn Alaska flight from Anchorage and be there in 45 minutes, or take a six-hour ferry ride from Whittier. 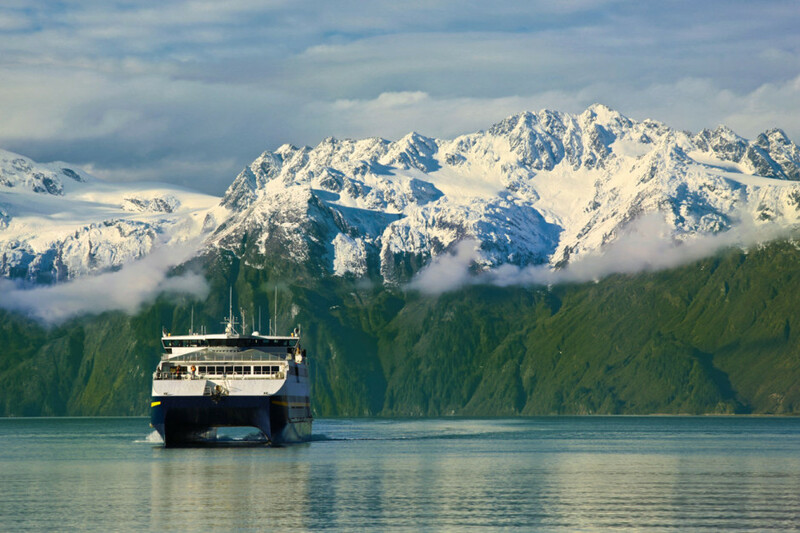 Valdez is also a leisurely two-day ferry cruise from Juneau, or a short day’s drive (about five and a half hours) from Anchorage through some of the grandest scenery in the entire state.